A 5k run, 1k walk, and a kids dash to benefit Camp Quest, an overnight summer camp for kids with high functioning Autism or Asperger’s Syndrome. Join us for a 5k race, family 1k walk, and kids dash to raise funds for Camp Quest this summer! Meet at the Happy Valley Middle School cafeteria for a morning of fun and physical activity! Camp Quest is one of a kind in the Pacific Northwest. It is the only overnight camp in the region that is specifically designed for 10-15 year old campers with high functioning Autism or Asperger’s Syndrome. Unfortunately, the cost for a camper to attend is over twice that of a typically developing child which adds to the already overwhelming cost of providing services to a child with an Autism Spectrum Disorder. Camp Quest strives to make camp accessible to all families and only charges half of what it actually costs to put on the camp. The additional funds are raised through generous sponsors and fundraising events like The Camp Quest 5k Run. At Camp Quest it is our goal that our campers have an opportunity to engage in activities that will help them grow and expand their social experiences. 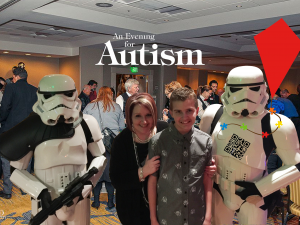 We want to provide opportunities for children with Asperger’s Syndrome and High Functioning Autism to enjoy their uniqueness, take pride in their strengths and just have fun!